It’s official! In an email sent out to current patients last week, Nashville’s Baby+Company Birth Center announced that they are now able to offer water BIRTH as an option! This makes them the only facility where you can both labor AND give birth in a birthing tub. Finally, water birth in Nashville is a reality! Baby+Co is beautifully designed, offering privacy and intimacy in their four birthing suites. Each comes equipped with a queen-sized bed, furnishings to store personal items (and essential equipment), comfortable seating, spacious showers with rain heads, and toilets with warmed seats and optional bidet functions. The facility also includes a small family room, basic kitchen, and a great room with ample seating and a small play area for the littles. Infinity Birth Center in Cookeville, an hour east of Nashville, also offers water birth. Discover your other options for laboring in the water in the post I wrote in September about water birth in Nashville. I can easily see this birth center becoming the go-to location for celebrity births and other high-profile families who want a classier experience than the standard hospital labor and delivery ward and want to avoid the exposure that comes from such public spaces as well. I attended a birth there in October with a repeat client as her doula. There were no other laboring mothers there at the time. Only my client, her husband and children, myself (her birth doula), a sibling doula (there to help with little ones), the midwife and a nurse. The peace and quiet of the entire building were such a contrast from the noisy atmosphere typically found in our local hospitals. It truly was like being at a home birth in a luxury hotel! You can learn more about Baby+Co at their website. You can even schedule a tour to check it out. If you desire a water birth in Nashville, this is the place to be! 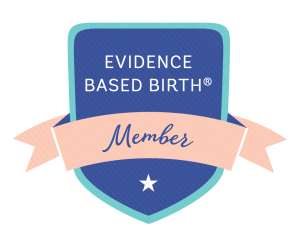 Posted in Resources and tagged babyandco, birth center, birth doula, birth options, midwife, Nashville, Nashvillebaby, nashvilledoula, Nashvillemoms, sibling doula, Waterbirth.